A group of Young Farmers once again proved their fondness for new media with a masterclass in movie-making. 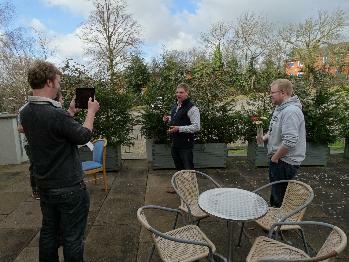 Thanks to training by Green Shoots Productions and sponsorship from the Elizabeth Creak Trust, delegates were taught how to make the perfect film that can be used to promote Young Farmers and the agricultural industry as a whole. 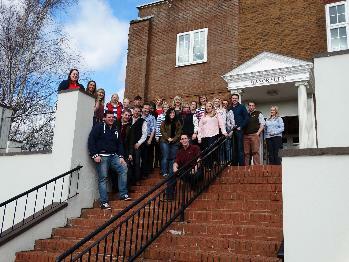 The training took place before the NFYFC's February Council weekend at the Quality Hotel in Coventry. Within the two hour training session, Young Farmers were given a thorough overview into the world of film-making, from video editing, sound and even the best place to stand in front of a camera. The session culminated in the group creating their own video, demonstrating the knowledge they picked up during the training. 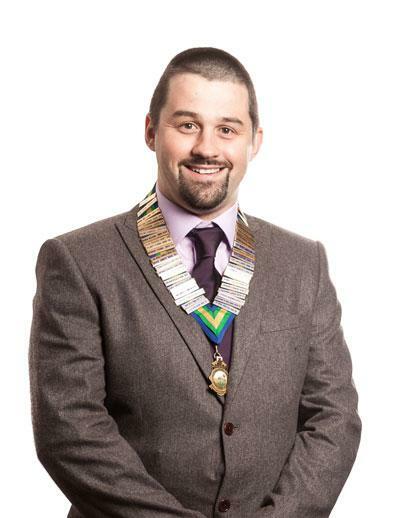 Jess Townson, NFYFC's newly-elected vice chair of Council, said: "The training was really helpful. The idea was to create a video to go out and advertise to other people what Young Farmers is all about and what careers there are in agriculture. From the people that took part, we got a lot out of it, including the basics of how to produce a video, the software to use and even how to stand in front of the camera. It was a really useful session. "One of the biggest challenges facing Young Farmers is recruitment and it's really important that we have all of these different tools and our members know about the different avenues that there are to recruit new members, including making videos, which can then be shown in schools, colleges and other youth groups." You can see the final video on YouTube by clicking here. 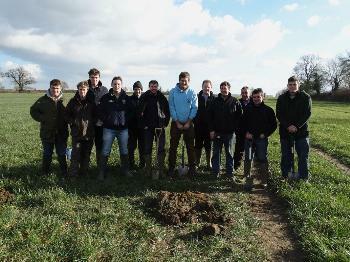 Getting their hands dirty was all in a day’s training for YFC members in March on NFYFC’s first ever Soil Management Workshop. 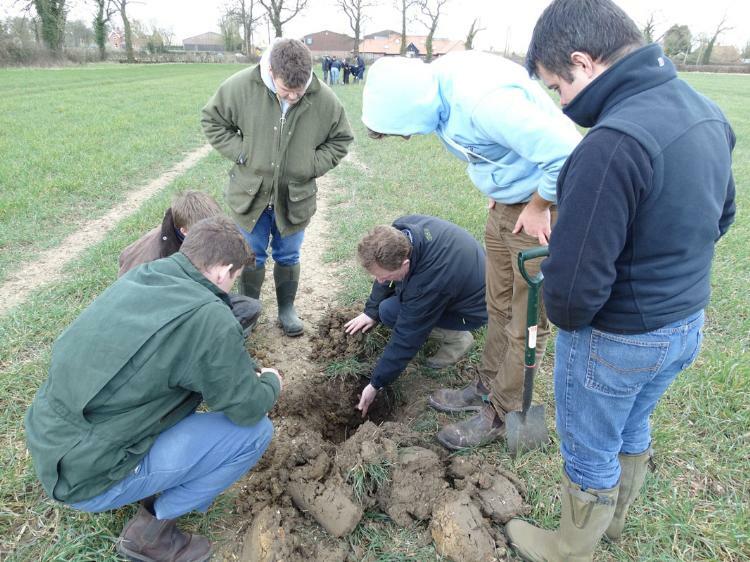 The training, funded by Defra, helped to show 10 members how sustainable soil management can also be profitable and was delivered during the International Year of Soils (IYS). The IYS 2015 aims to increase awareness and understanding of the importance of soil for food security and essential ecosystem functions. The course, which was delivered at Morley Research Centre in Norfolk, was organised by David Whattoff from SOYL Precision Farming with support from Philip Wright of Wright Resolutions and NIAB. Classroom instruction and practical tutorials formed the basis of the day and members who were registered with the relevant schemes were also able to earn NRoSO and Dairy Pro points. Anthony Boeson, from Elham YFC in Norfolk and member of the AGRI Steering Group, is an arable farmer and contractor and attended the course. “The course was very beneficial. We do a lot of research on top of the land and so it was good to see what is going on under the ground so we can ensure we conserve it for the future,” said Anthony. For more information on training courses available with NFYFC, visit our courses section. Wales Young Farmers’ Clubs are celebrating after their funding has been restored by the Wales Government following a major campaign. Wales YFC faced pressure after it was revealed they would lose £140,000 of funding from 1 April due to budget cuts from Natural Resources Wales (NRW) and the Welsh Government. In response to the news, Young Farmers launched an online petition and gathered support from rural communities to fight the decision. The Government has now agreed to award £88,600 of ‘transitional’ funding to Wales YFC while it develops a new five year plan. It is a one-off grant, and Wales YFC will need to adopt a new business model for future funding. Iwan Meirion, Wales YFC chairman, said: “The on-going support of our members, supporters and stakeholders across Wales is much appreciated, particularly so in the last month. "Clearly, the quality and value of services provided by the YFC across Wales is appreciated and acknowledged, and funding those services in the long term is a challenge. The funding cuts are a cause for concern for all YFCs and the NFYFC Council is currently reviewing services and ways of working. A 20% increase in the national levy has also been proposed by the NFYFC Council to help with some of the £200,000 shortfall in funding the Federation is facing. Bright Crop and NFYFC are teaming up to showcase the range of jobs on offer in the sector to 75,000 children, aged between seven and 19 years old, at The Big Bang Career Fair from 11-14 March at the National Exhibition Centre in Birmingham. Now in its seventh year, The Big Bang Fair is the largest celebration of Science, Technology, Engineering and Maths (STEM) subjects for young people in the UK and was the winner of the 'Educational Event of The Year' award at the UK Event Awards in 2014. The two organisations are keen to show that a career in agriculture can be much broader than working on a farm. Only four per cent of young people, who responded to a survey conducted on behalf of Bright Crop, said they were considering a career in farming and food supply. It is believed that misconceptions around the range of roles in the industry are dissuading children from viewing agriculture as a career option worth pursuing. Volunteers from Young Farmers’ Clubs and Bright Crop Ambassadors will be at The Big Bang Fair to talk about their jobs and experience, as well as demonstrate the exciting opportunities on offer to young people. “It is vital that the food and farming sector promote their industry and its opportunities in schools. Not only are school children our customers of the future, but they are also the scientists, technicians and engineers who will drive the industry forward. “The industry needs to go back to school to teach young people that agriculture is about technology and innovation. We need to show young people how many different roles there are in agriculture and promote the future of an industry that will be much more reliant on scientists and engineers. An opportunity to learn more about new technologies in agriculture at two major manufacturers in France has helped a group of Young Farmers improve their skills. The NFYFC study tour was funded by Defra and involved visits to two factories in France owned by two of the Federation’s sponsors. Massey Ferguson invited members to tour their factory in Beauvais, while Kuhn Farm Machinery showcased their facilities in Saverne. 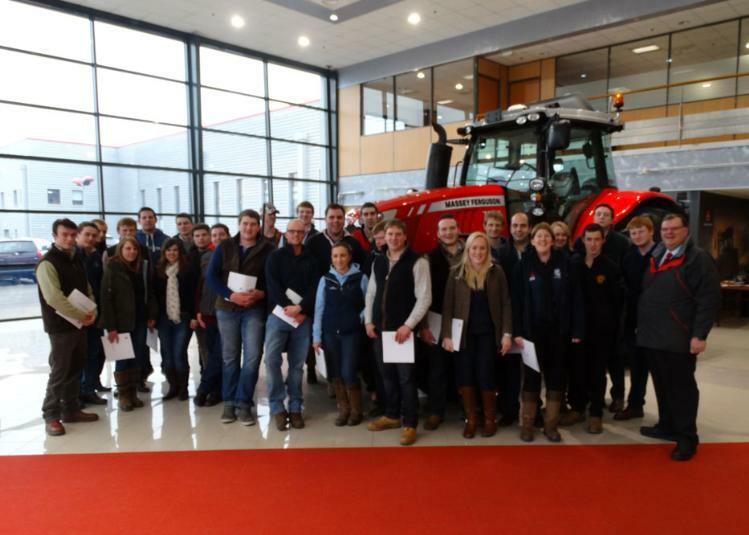 On the four day trip, the 26 Young Farmers learnt more about the production lines in both factories and could see the types of job roles available in agricultural engineering. James Hutchinson from Malmesbury YFC in Wiltshire was one of the members on the trip and was impressed by the scale of the two factories. Agri Officer Jo Wyles joined members on the trip and said it was great to be able to see how both companies produce quality machinery for farmers all over the world. It wasn’t all work though, as members still found time to do some sightseeing in Paris and Reims – including a trip up the Eiffel Tower. Plans are already underway for the next study tour which will be a visit to Agritechnica in November. Anyone interested in taking part should register their interest with Jo Wyles.